Many years ago, we used to boil lobsters but the flavor of steamed lobsters is actually much tastier and it is harder to overcook. Whether you are using a turkey deep fryer or a big pot on your stove, you only need about 2 inches of water to steam the lobsters. You can add some sea salt if you wish. Steaming lobsters is really an easy endeavor. Cracking them open to eat them can be a little more of a challenge, but practice makes perfect so eat up! 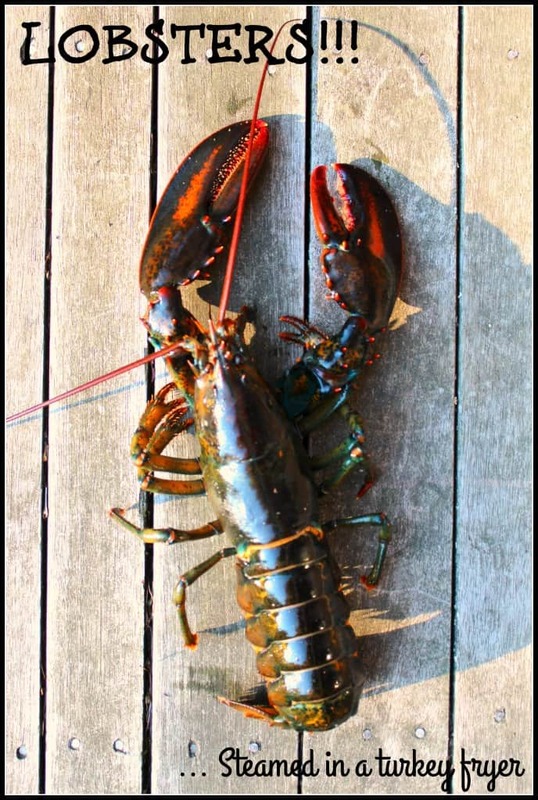 Lobster tips: Lobsters need to be alive when they are cooked! 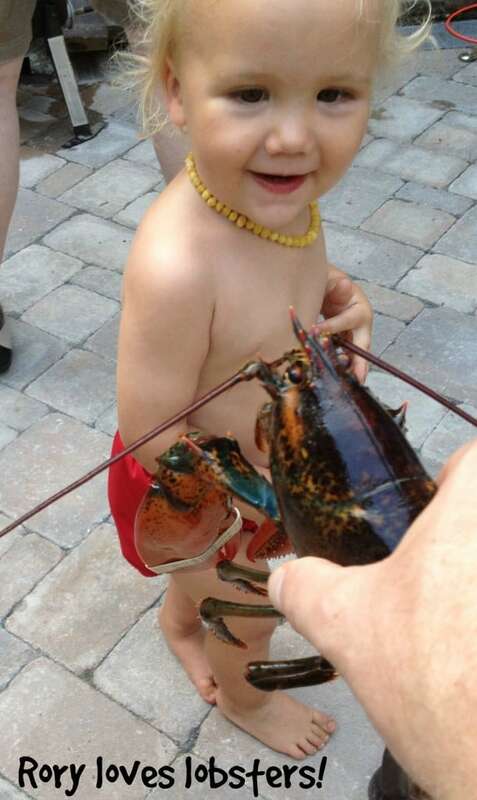 If you are selecting lobsters from the lobster pound, look for feisty ones. There is no need to take off the rubber bands around the lobster claws unless you would like to get pinched. If you need to keep your lobsters for a little while before you cook them, keep them in paper bags in the bottom of your refrigerator. When you serve your lobsters at home, it might be helpful to have a large plate for preparing your lobster – watch out for the water that might come out when you start to crack it open – and a smaller plate for actually eating your lobster. A large “discard” bucket for shells and such in the middle of the table also helps keep the mess to a minimum. We keep our lobster meals very simple – melted butter is a must-have but you don’t need to get too fancy with the side dishes. Potato chips, fresh corn on the cob, or potato salad all go very well and don’t require much preparation. So how many lobsters would you max out with in a 30 Qt Turkey Fryer? It really depends on the size of your lobsters! We usually get 1 1/2 pound lobsters – maybe a little bigger – and we can fit about 10 or so. Because you are steaming them, just pile them in and leave some room at the top.